Looking for ways to add seasonal festive fun to your Christmas party? Live music is a brilliant way to create that extra special Christmas feeling. Here are six Christmas party entertainment ideas that will make your party really memorable. 1. Hire REAL Christmas carol singers! The London Carol Singers are a group of professional singers with an comprehensive repertoire of traditional Christmas carols and popular Christmas songs. For period festive atmosphere, the group dress in immaculate costume complete with top hats as Victorian Carolers and sing traditional carols, bringing the magical spirit of a Dickens’ Christmas to your event. Alternatively the group appears in overcoats, hats and scarves as present-day carol singers, performing a mix of popular Christmas songs and traditional carols. The a-capella ensemble is happy to perform concert-style or to stroll round the room. The performance is unaccompanied and can take place out of doors if conditions permit. Create a Christmas carnival atmosphere with a strolling New Orleans Trad Jazz Band. Add Christmas hats and spice up the Trad Jazz repertoire with Christmas favourites played Dixie-style. 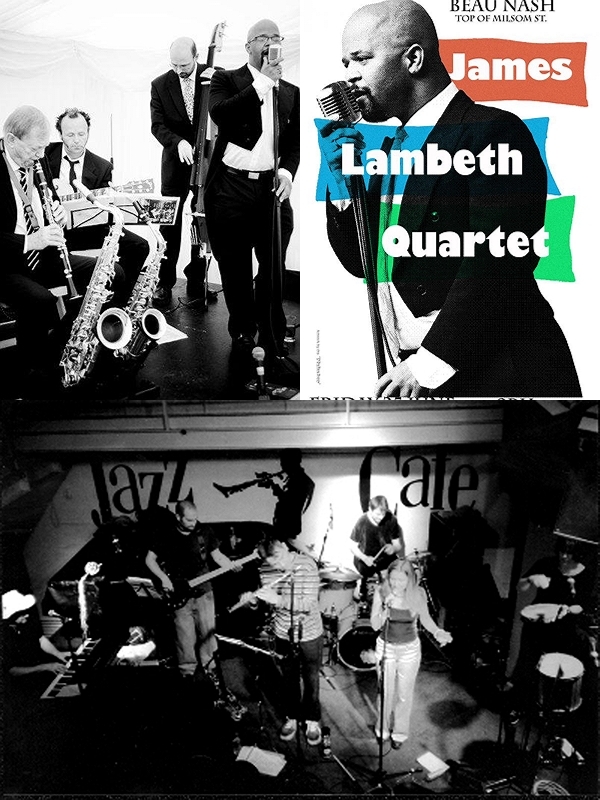 Acoustic Trad jazz quartets are available for hire around the UK. Al Fresco Trad Jazz Quartet perform “Santa Claus is Coming To Town”. London-based Premier Brass presents the strolling Premier Brass Santa Brass Quartet or Quintet. The musicians dress in Santa suits complete with curly white beards! The band has a huge repertoire of classical Christmas music, traditional carols and popular modern Christmas classics and will stroll among your guests, entertaining them with Christmas fun. The band is acoustic, so no electric power is required. The group is equally at home strolling round a ballroom or parading in a shopping centre – or even leading as Christmas procession! Make your Christmas “Hot Hot Hot” the Caribbean way by booking a Christmas steel band. Duos, trios and full bands are available around the UK. Dressed in Christmas jumpers and hats, a steel band will include popular Christmas tunes played with a reggae twist in the repertoire. A steel pan duo or trio is a great way to invoke the Christmas spirit at a Christmas market or an Xmas shopping event. 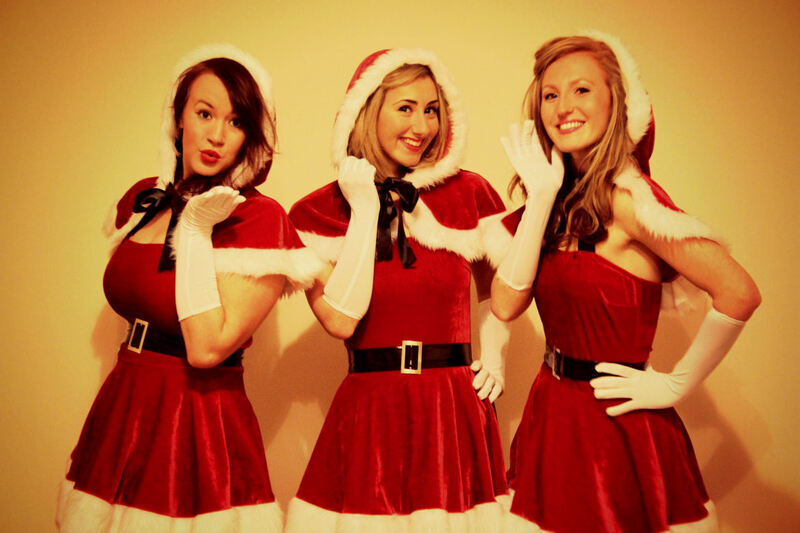 and The Harmony Girls appear in festive costume and present special glamorous Christmas shows that include vintage swing versions of your favourite Christmas classics. For smaller events The Vintage Diva, a solo singer with backing tracks, provides a similar costumed show. Celebrate Christmas American Country style with a Ho, Ho Hoedown. Debi Hall and The Honky Tonk Angels present a brilliant Christmas show with Wild West zest. Line dance caller Debi fronts the show dressed in a cute Santa suit and the band mixes popular Christmas songs performed country-style with the usual down-home repertoire. If you like Folk, you will enjoy a Christmas Ceilidh! Jase and Mike from Black Velvet Band Christmas Ceilidh Trio have set lots of traditional carols and popular songs as dance tunes, presenting an original take on traditional Christmas fun. Your guests can play “Name That Christmas Tune” as they dance. 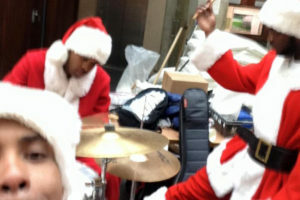 The band, of course, dress in their best (or worst) Christmas jumpers and Santa hats! Live music is one of the best ways of creating atmosphere at a party and it is an ideal way to bring the magic of Christmas to an office Christmas party, Christmas market or Xmas themed event. To see more of these musical suggestions in action take a look at the Hop Till You Drop YouTube playlist Christmas Music Ideas in the UK. Earlier in the week we highlighted the mesmeric and exotic quality of Indian classical music as an attractively different and memorable form of entertainment at a wedding. Although the musical style is gaining general popularity outside of the Asian community in the UK, there isn’t as yet a huge number of top-quality Indian musicians performing at public or private events. However, one of the best examples of a classical Indian band is Strings Sitar Fusion, who present a wonderful selection of of traditional acoustic music at all kinds of events, including weddings, all over the country. As the name suggests, the ensemble’s unique, lilting sound is based around the evocative strains of a sitar, gently stating and supporting the melody and giving their music an unmistakable Indian feel. These expressive and inviting melodies are combined with the rhythmic drive of hand-played tablas to create the central pulse of the band. This duo will suffice for more intimate occasions, providing low-key background music perfect for developing an interesting atmosphere at your drinks reception or during dinner. 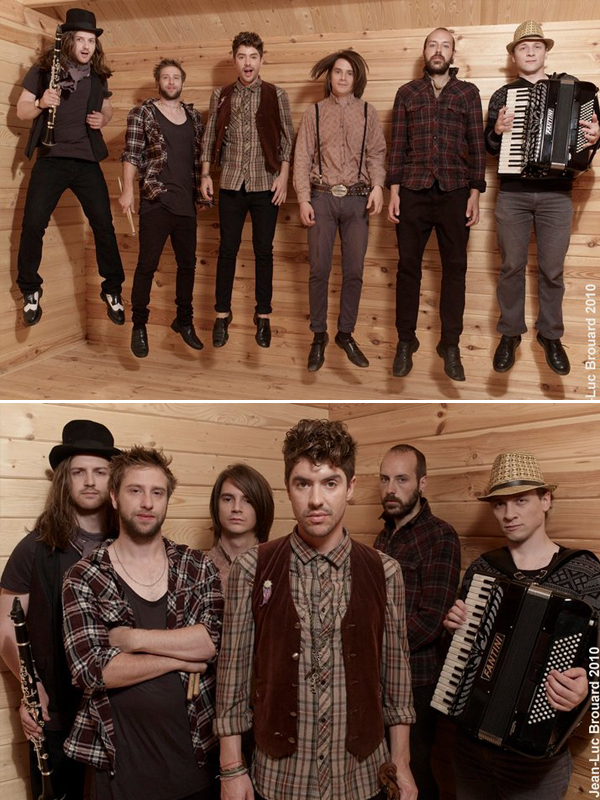 The band can easily augment to a trio or quartet, adding keyboard and then bass to the mix. Male or female vocals can additionally be provided to breathe life into the songs and give an other-worldly texture to the music where appropriate. With such a wide range of options on offer, Strings Sitar Fusion are able to deliver a line-up appropriate to wedding parties of all sizes and provide entertainment suitable for any part of the day. 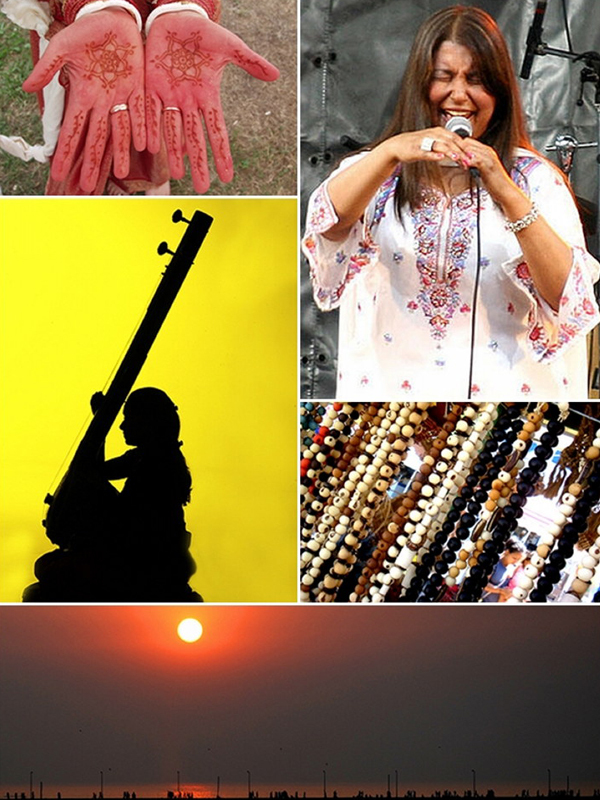 In general the music is selected from the ragas of the Indian classical repertoire, alternating with melodious tunes and songs from the regional folk-music tradition, all spiced up with some Western and other interesting multicultural influences. 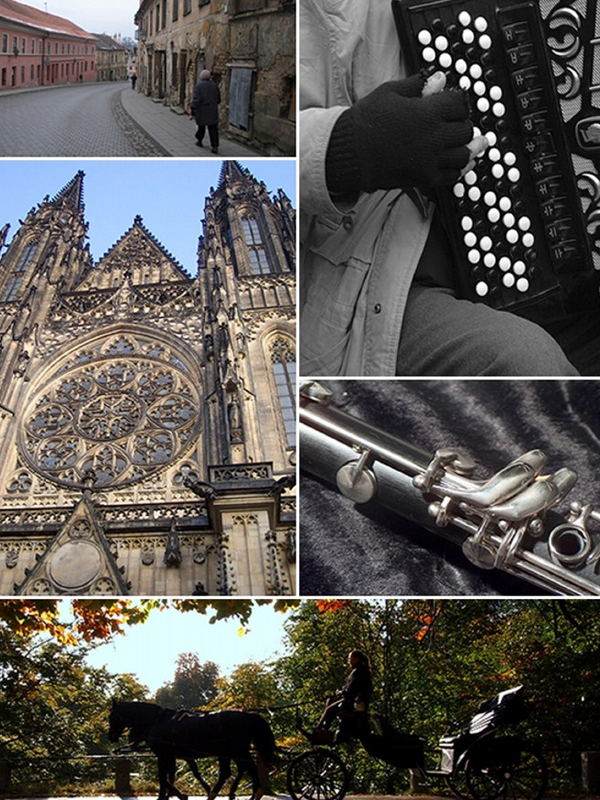 The ensemble provides all their own equipment, including, where necessary, a PA system suitable for most venues. They perform in traditional Indian dress, and are able to introduce a troupe of Indian dancers to their performance to enhance the visual spectacle and create an exciting main event. The band has many years of experience, having been formed in 1994 by well-respected musicians Anu Shuklar and Kiran Thakrar. Kiran is a multi-talented keyboard player, composer and music producer, and has performed at more than 4000 concerts across the globe. Anu is the principal vocalist with a massive reputation, also acting as the creative director of the ensemble. Having performed at a wide range of public and private events all over the world, Strings Sitar Fusion have the expertise and experience to put on a wonderful and memorable show at your wedding. Strings Sitar Fusion specialise in playing a unique blend of Indian classical music that is perfectly suited to a wedding occasion. Driven by sitar and tablas, with the option to add further instrumentalists and vocalists if you require, the band has a wealth of experience and a burgeoning reputation developed over many years of live performance. If you are looking for an exotic, mesmerising and truly memorable musical backdrop or centrepiece to your wedding anywhere in the UK, look no further than Strings Sitar Fusion. In Mandinkan, “jali” means musician and “kunda” means home. Jalikunda, then, means “musician’s home”. It’s an apt name for this vibrant group of young African musicians and dancers. 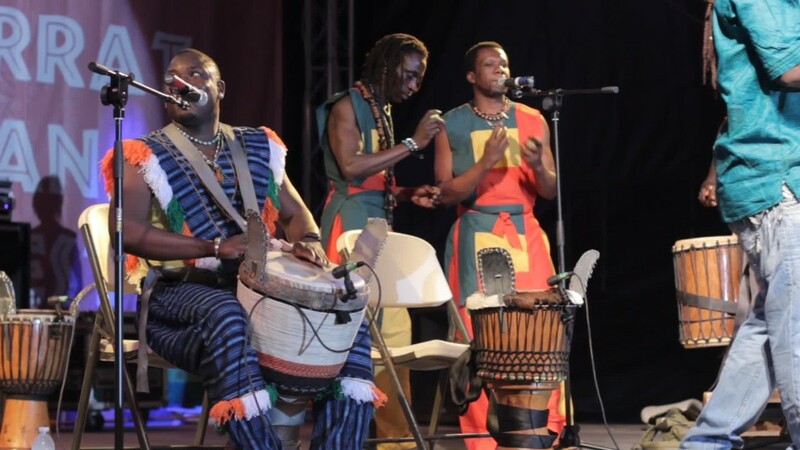 Their performance blows new life into the ancient folk culture of their homeland in West Africa. As they travel across the globe, performing the music and dances of the land of their birth, their music takes them to their spiritual home! The ancient musical traditions of West Africa trace their ancestry right back to the 13th century Malian Empire. The rich Mandinkan tradition of songs, stories and dance, with its central message of peace and harmony, has been preserved down the centuries by The Griots – a professional caste of musicians and storytellers who handed down the precious legacy from father to son and mother to daughter as the years rolled by. Mamadou Cissoko, bandleader and virtuoso kora and djembe player, was himself was born in Lindiane, a leafy superb in the lush green region of Casamance, Southern Senegal. He inherited the Griot tradition from his mother’s family and in particular from his late grandfather, Jali Kemo Cissokho, who taught him to play the kora (the 22-stringed African harp) from the age of five. The magical Mandinkan aural legacy of songs of praise, folk wisdom and shared history was nurtured down the centuries by a professional caste of musicians and storytellers called Jalis or Griots – historians, praise singers and master musicians. The spirit of their performance is suffused with an underlying traditional Griot message of communal harmony and brotherhood. The present-day members of Jalikunda bring this ancient musical tradition bang up to date. In true Mandinkan musical style, their infectiously joyful and warm performance brings the audience and the performers together, communicating peace and love through the universal language of music. West Africa stretches from the tropical equatorial forest of Guinea northwards to the more temperate but equally lush coast of Senegal. Eastwards, it snakes 700 miles along the winding River Gambia to the fabled outpost of Timbuktu in Mali, on the southern edge of the burning Sahara Desert. In the far north, the desert of Mauritania dominates, bordering on the Arab dominated Morocco. West Africa contains ancient and modern histories as diverse as the changing landscape. In Gambia, the official language is English. In Guinea Bissau, Portuguese is spoken. In Senegal, Mali and Guinea it’s French. These colonial languages make communication easier for travellers as West Africans share literally hundreds of dialects and most speak at least a little of four or five languages. Despite differences of geography and language, the ancient aural Mandinkan legacy of music and dance bubbles beneath the surface in all these places, providing a sense of shared culture that transcends this modern diversity. 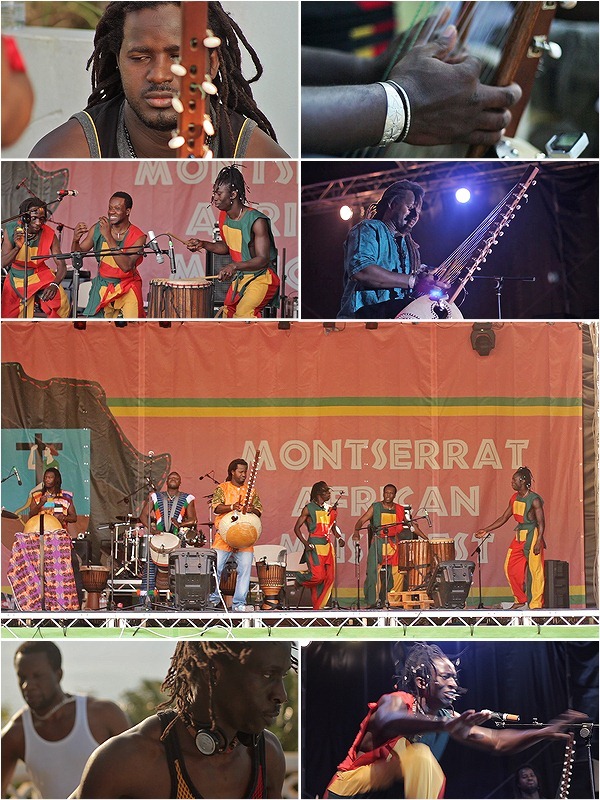 On the 15th March, 2014, you can experience the warm and wild spirit of West Africa at Salem Cricket Ground on the Caribbean island of Montserrat, as the band takes part in the 2nd Montserrat African Festival. Come and watch, clap and sing – join in and experience the sense of togetherness the performance generates. It’s guaranteed to be an intoxicating experience! 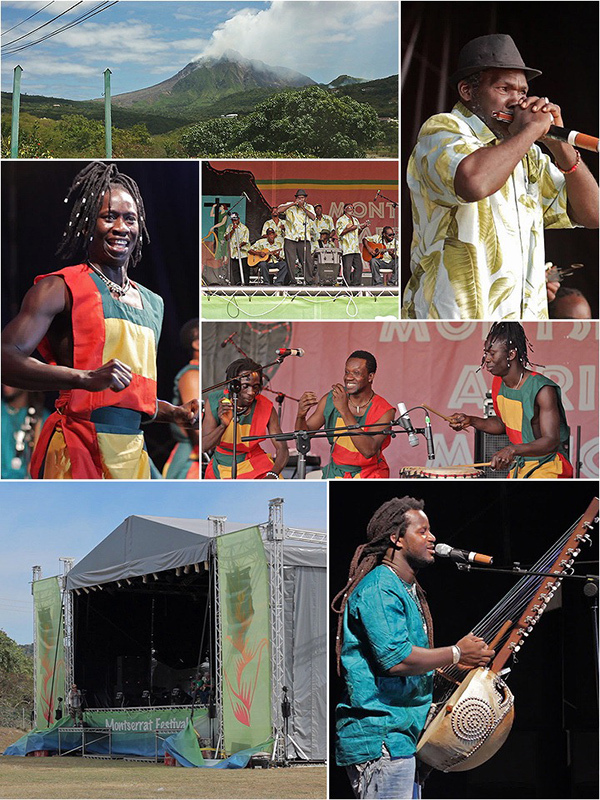 The tiny Caribbean island of Montserrat places itself firmly on the map by hosting the 1st Festival of African Music to be held in the English-speaking Caribbean. 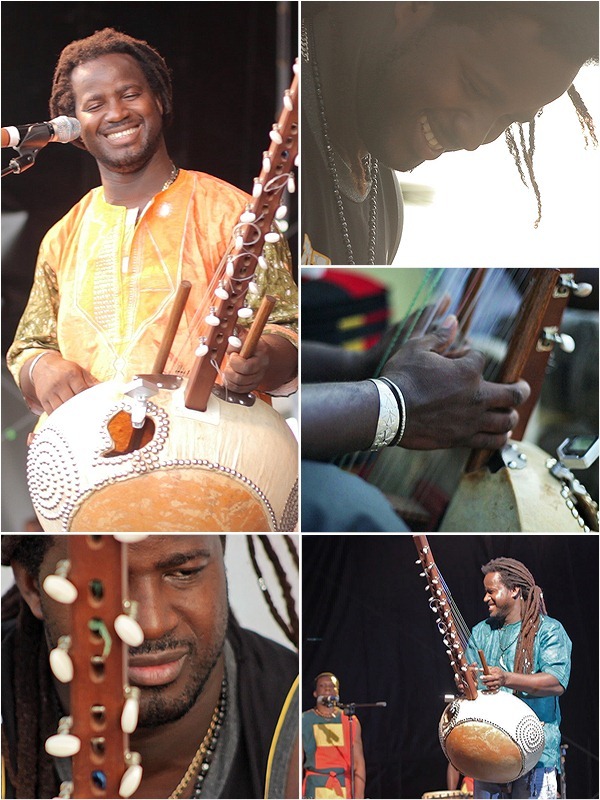 The successful inaugural opening of the annual festival took place on in March 2013, featuring Daby Taure – Afro-Pop voice of Mauretania- ably supported by Senegalese African drum and dance act – Jalikunda. In 2014, the Montserrat African Festival is proud to feature the venerable Grand Master of South African music –Tuku – at the top of the bill. By popular request, Jalikunda returns to Montserrat to join this year’s festival line-up to provide a further burst of joyful and energising African dance and drums. Montserrat: What’s the Irish, English, African connection? 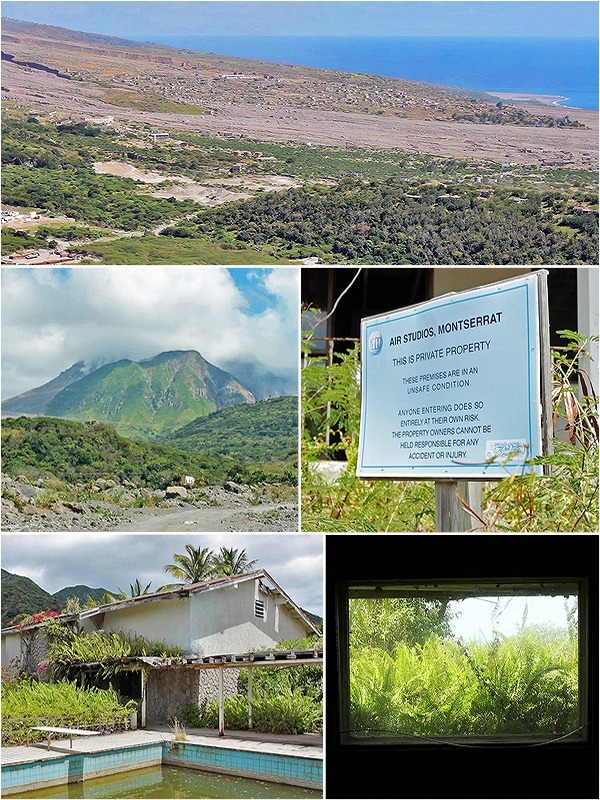 English catholics arrived on Montserrat from St Kitts in 1632 to set up the first colonial plantations. 17 years later, this tiny island the other side of the world provided the perfect place for English protestant republican Oliver Cromwell to dump his dissident political adversaries after the pacification of Ireland and Irish Catholics arrived by the boatload. Plantations of tobacco, cotton and sugar require a large cheap manual labour force to run efficiently and profitably. Enter the slaves. From 1660, a steady flow of Africans captured along the Guinea coast, transported half way round the world and sold as slaves increased the population on Montserrat, often managed by Irish overseers. In 1768, an insurrection by the slaves on St Pats Day, overcoming their Irish bosses who were partying in time-honoured Irish style was brutally put down. The slaves had to wait until 1834 for emancipation. The spirit of the oppressed black population represented by this failed uprising is a big part of the underlying spirit of the present day St Pats celebrations on Montserrat. 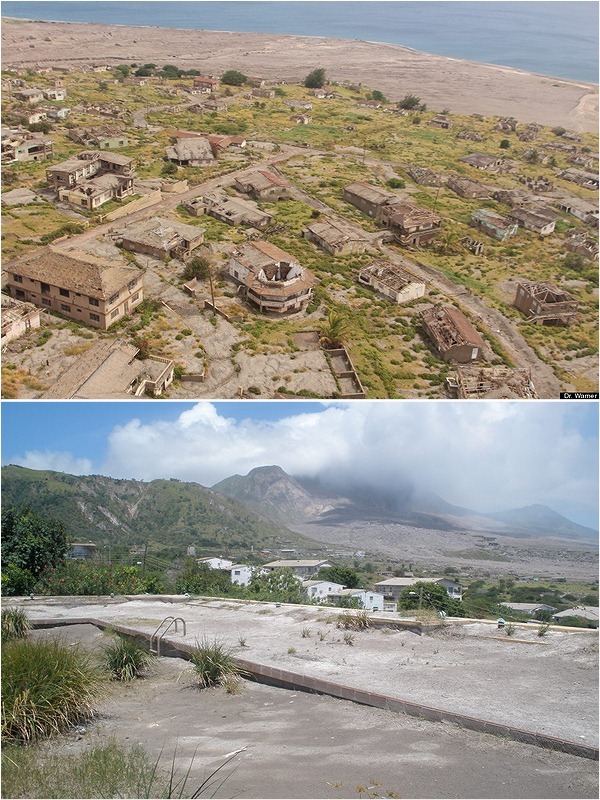 Until 25 years ago, Montserrat provided an idyllic home to 12,000 people. The island also hosted Sir George Martin’s paradise musical retreat for world pop and rock ‘n’ roll greats. The devastating destruction of Hurricane Hugo in 1989, followed by the eruption of a dormant volcano in 1995 changed all that. A further cataclysmic volcanic eruption in 1997 that lead to 19 deaths sealed the island’s fate. The island’s economy was convulsed by the emergency. Two thirds of the population were forced to flee the island and today over half the island – including the capital city and the majority of the island’s original infrastructure – lies abandoned, buried in brown sea of mud and ash. Montserrat now flies in the face of adversity to become the first location in the English speaking Caribbean to hold a musical celebration of the African roots of a large part of the population. The festival of part of an imaginative initiative by the Government of Montserrat to find new ways of kick-starting the island’s economy with a view to making the island economically self-supporting in the future. An African festival during St Patrick’s Day celebrations? Outside of Ireland itself, the tiny Caribbean island of Montserrat is the only other place in the world to celebrate St Patrick’s Day with a public holiday. The island indulges in a week’s worth of festivities to celebrate the great Irish saint. 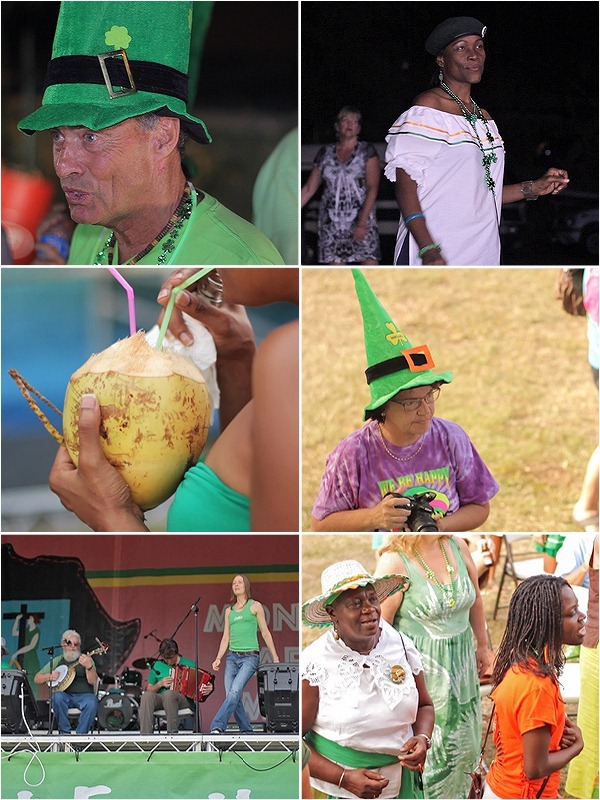 On Montserrat, the St Pat’s festivities have become a time for families to get together and for kids working abroad to come home to celebrate and visit friends and family. In many respects, the St Pat’s week has become a week to celebrate Montserrat’s identity. Since the majority of the population of the island has African roots – what better time to choose to hold a festival of African music? Come back for more about Montserrat: the tiny island with a big story, to find out how this tiny island triumphs over adversity to present a unique modern twist of St Pats extending the brief to include the celebratation of the island’s African identity in time-honoured Irish St Pat’s tradition – with a great big, gi-normous party! Our Bands Have Been Featured on The Wedding Secret! We’re happy to share that some of our Bristol and Bath-based musicians are featured as a part of the brand-new wedding planning website, The Wedding Secret. Based just south of Bath themselves, they have created a fantastic resource for brides and grooms who are planning their website – which helps them find locally-based wedding specialists and inspiration. 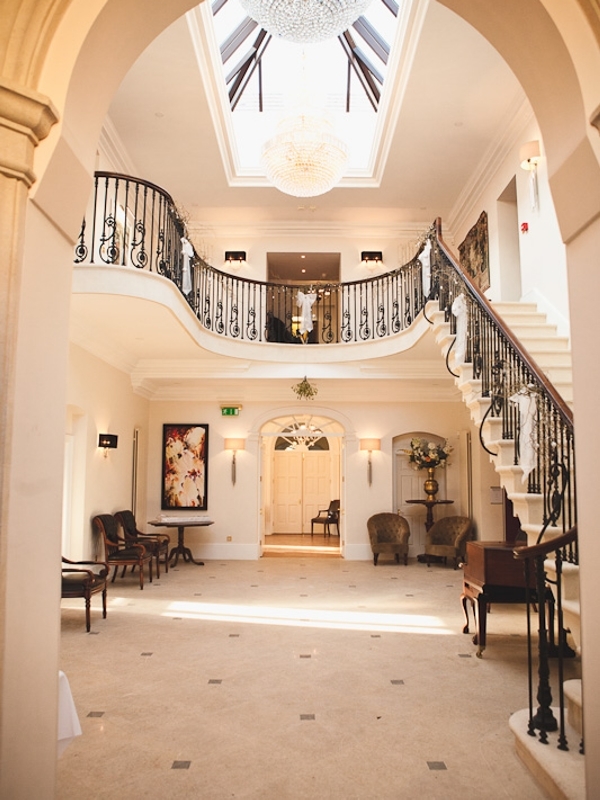 View their fantastic list of wedding venues- click here for Somerset venues, find out more about venues in Bath and view venues in Gloucestershire. See our bands in their Bristol music category – also find wedding flowers in Bristol, cakes, photographers and much more. Registration and membership is free for life, and doing so gives users a number of benefits including complete access to planning tools, the ability to enter a specific location they are getting married (or a more general area) and the businesses on the website are ordered in terms of how far they are away from that entered location, and much more. Gabriel Fonseca takes Hartley Wintney Jazz Club by storm. Imagine the good time vibe of the Buena Vista Social Club back in the `1940s and you come close to the atmosphere Gabriel Fonseca and his friends conjured up on a dark and dismal November Friday night at Hartley Wintney Jazz Club. 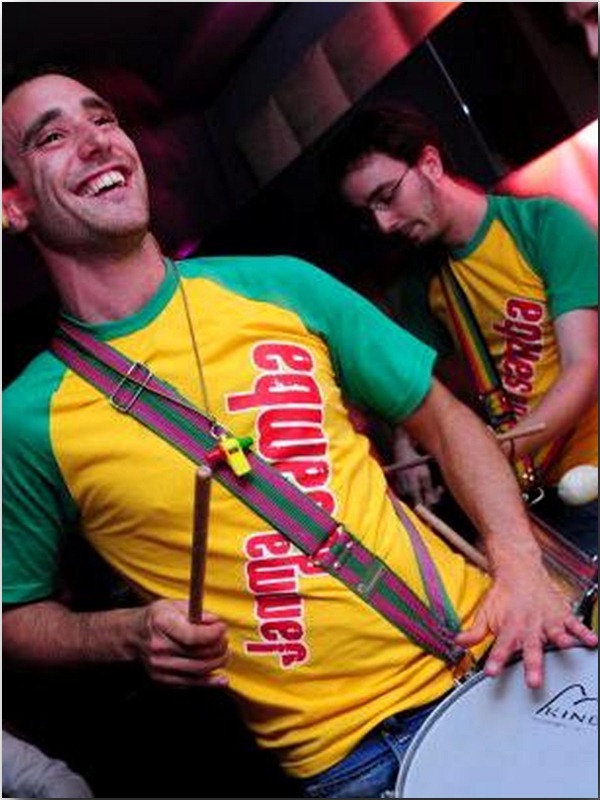 Find out more about booking Gabriel Fonseca and La Cuba Ritmo.. 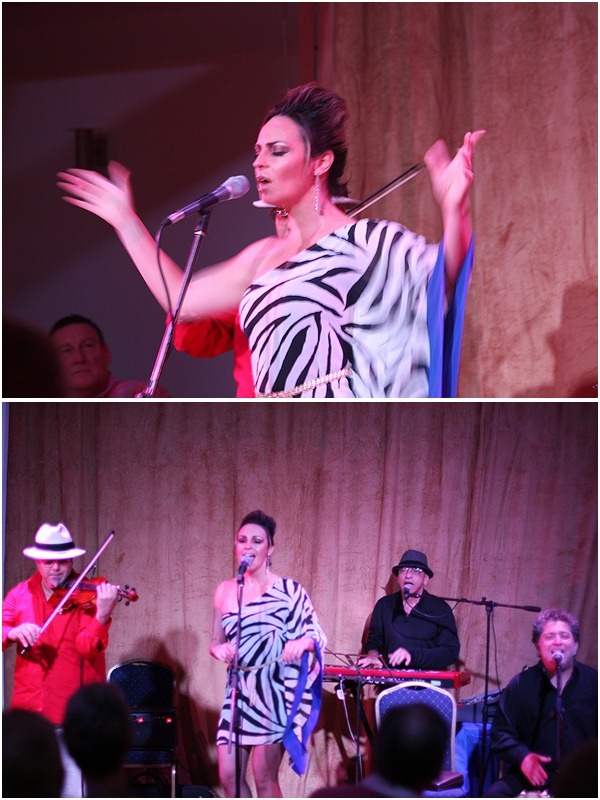 The performance generated the warmth and good humour of a hot sultry Cuban evening. Add in the infectious salsa beat and you can’t help getting that good-time holiday feeling. It’s a party from start to finish. The evening opens with La Mono Band, ably accompanied by Gabriel himself on violin. Ingrid’s dusky voice and delightful looks and swaying hips charm us, while the sharp crisp rhythms from Mono’s bongos energise and excite. Salsa and Merengue set us all in the party mood. Add spare, tight chords from the keyboard and sonorous tones from Gabriel’s violin and the night really starts to get going. The band performs a mix of dance rhythms and joyful folk songs. Sometimes Mono takes the lead, with soulful singing that touches the heart. Harmony singing adds to the feeling of community between the musicians on stage and with the audience. In the second set, Cuban Strings – Gabriel’s guitar and violin duo, with a guest appearance by delightful young vocalist Laura – take us to a boulevard café in downtown Havana. 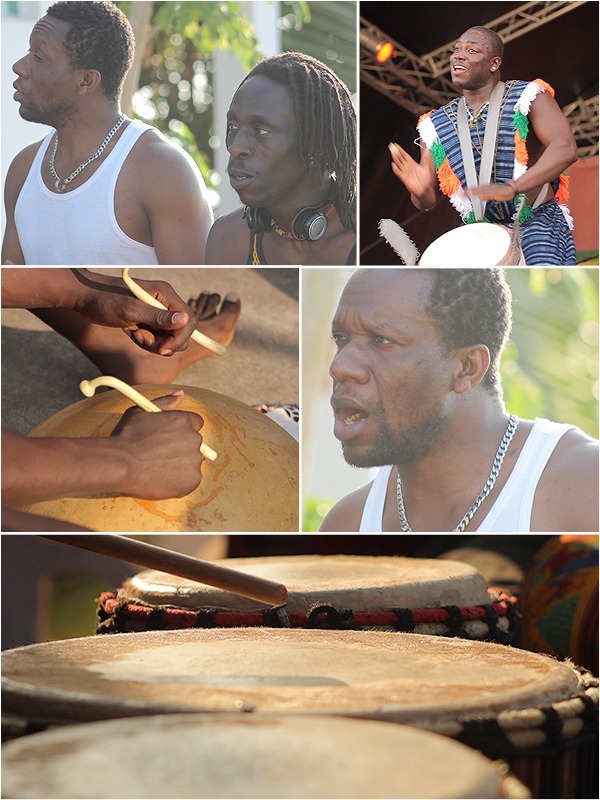 We are entertained with simple but effective arrangements of folk tunes from the Caribbean and Southern America. Sometimes catchy and humorous, sometimes elegaic and soulful and sometimes high drama, we are enchanted by the musical trip. 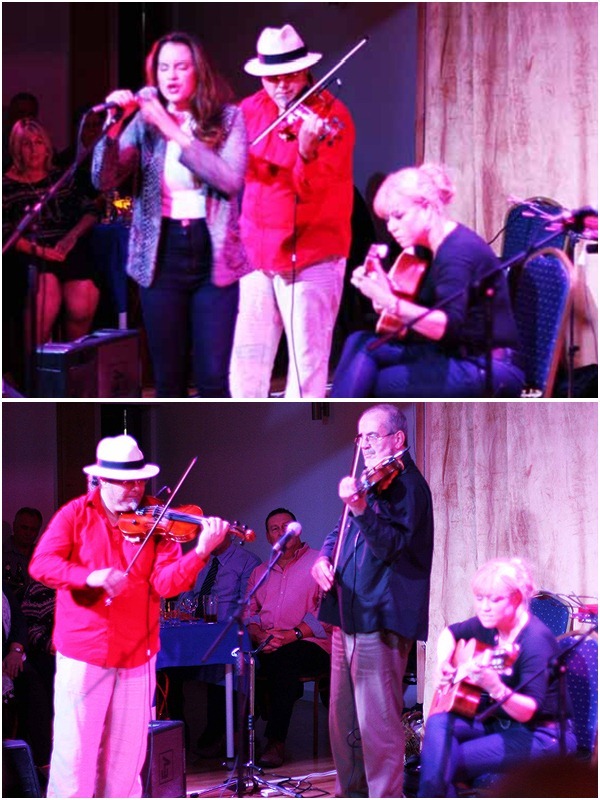 Gabriel is joined on stage by Mike Evans, leader of The Pump Room Trio in Bath during the 1980s and the original violinist with the rock band Stackridge, who opened the very first Glastonbury Festival back in 1970. The ensuing musical badinage is one of the the highlights of the night. We find ourselves in the middle of a delightful light-hearted musical duel. There is nothing quite like rivalry to sharpen up the playing! 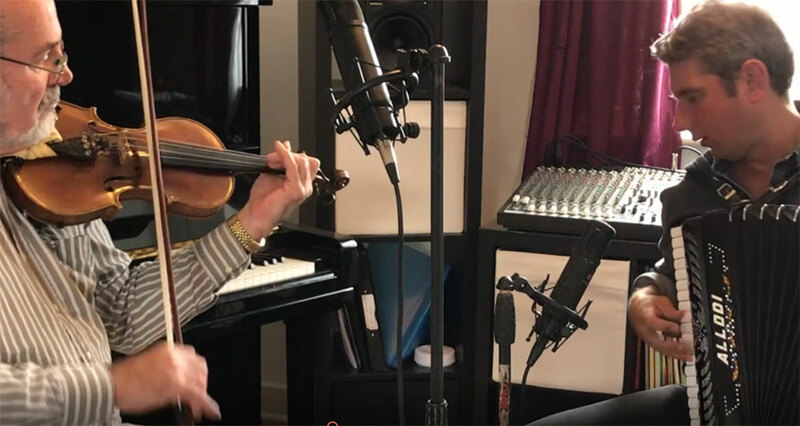 We are treated to musical virtuosity and witty exchanges from both players, each answering the other back with interest, featuring humorous references from Mike to the English tradition to which he is firmly rooted, skilfully woven into the complex sultry tropical rhythms. A trip to Cuba means party time! The first set engaged the interest, the second set absorbed and enchanted: now we’re all really ready to step out – and so are the musicians! The evening ends with a thoroughly good, full-on party. With Mono and Ingrid in full swing the party really gets into gear – and before you can say Jack Robinson, Hartley Wintney is on the dancefloor! English reserve is jettisoned in order to join in the Latin-American magic. For a short time, we forget our winter woes and bask in the Cuban musical sunshine. Got the Winter Blues? You don’t need to visit the doctor for a tonic. Come to Hartley Wintney Jazz Club and join in Gabriel Fonseca’s Cuban musical extravaganza. It’s a totally reinvigorating, utterly refreshing burst of musical sunshine. We all want him and his band to come back so that we can do it again! 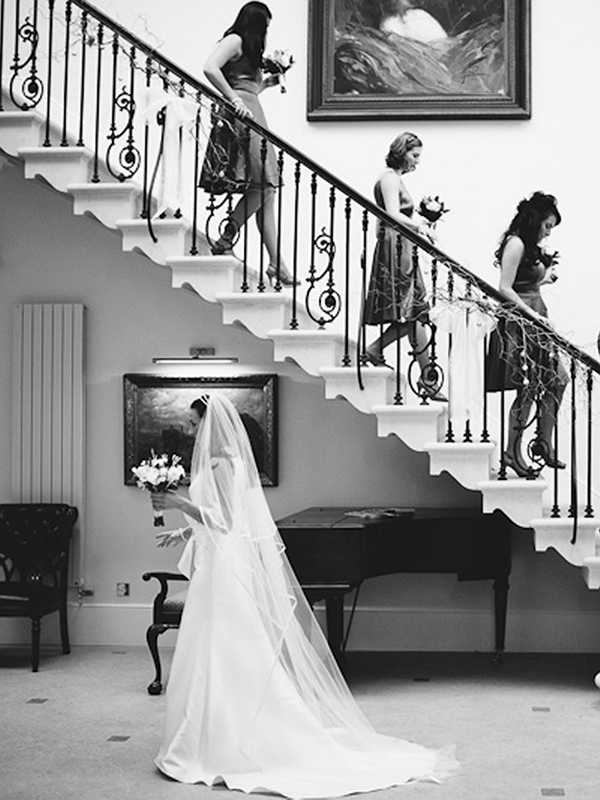 Commanding a delightful vantage-point above the River Severn in Gloucestershire, with outstanding views across to the Black Mountains in Wales, Old Down Manor is a tastefully-restored Victorian country house that presents a tranquil and idyllic setting for a sophisticated wedding celebration. 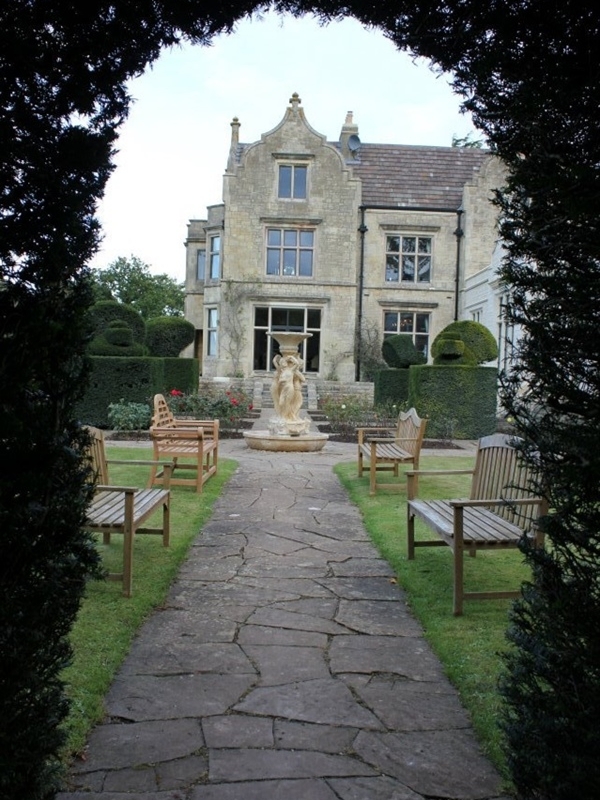 As a recommended supplier, Hop Till You Drop Wedding Music Agency offers a special bespoke service to Old Down Manor’s brides and grooms. Ring Jennie for expert technical advice about how to put together the most appropriate and cost-effective musical package to enhance your forthcoming wedding celebrations. 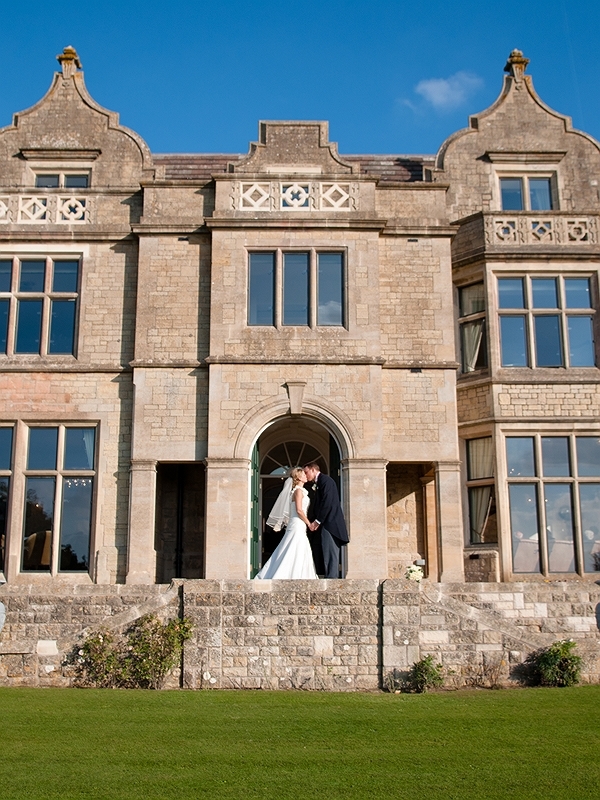 HTYD offers a special 10% discount to couples marrying at Old Down Manor. Live music provides a brilliant way to stamp your individual personality on your special day. Whether you go for Ritzy glamour with vintage swing jazz, elegant formality with classical music, country-style informality with traditional folk music, perhaps choose the exotic route with the sounds of world music or dance the night away to a selection of all-time pop classics, all these options and more are available. Latin Jazz introduces you to the sultry rhythms of South America. If ‘Strictly Come Dancing’ with a Bossa beat is your bag, Sirius B gives you salsa, Brazilian-style. The band personnel can be tailored to produce exactly the right sound in the Orangery as night falls. In the 21st century, the world has become a very small place. Lend your celebration an unusual and original twist by bringing the world to your wedding through music. 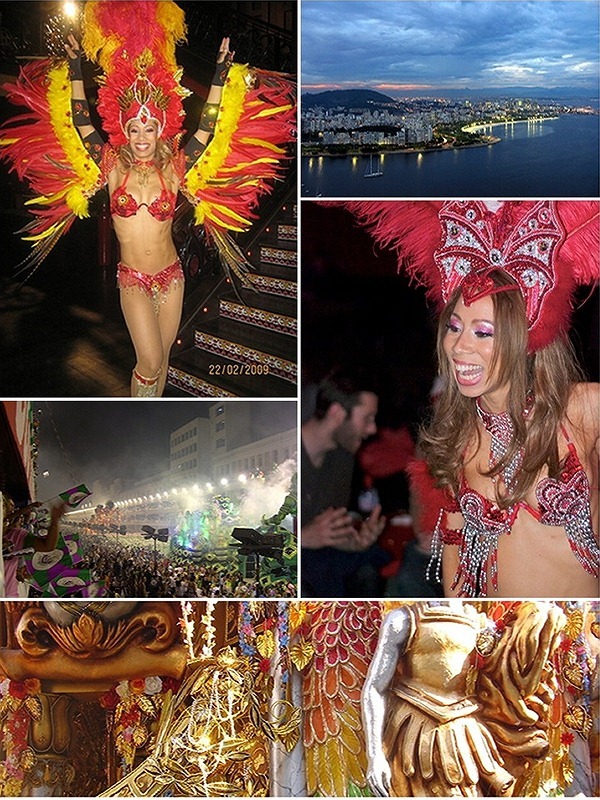 Prefer to party in traditional English, Scottish or Irish style? Jigs and reels combined with tried-and-tested Irish favourites is the perfect way to break the ice and get the party going. If pop party favourites are what you’re after, then here’s a couple of hip-gyrating options that will easily fit in the space and won’t necessarily break the bank. 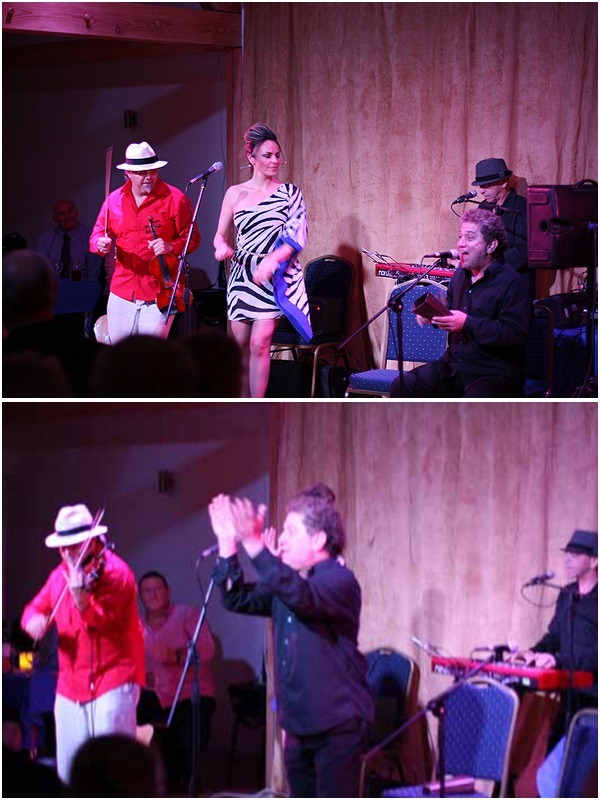 Live music will enliven the atmosphere at your evening party and make it a truly memorable occasion. Salsa and samba to your heart’s content with a Latin-American Jazz band, swing your partner round and round in an old-fashioned country barndance or ceilidh, or dance the night away to a well-chosen medley of iconic pop favourites from the ’50s to the present day.